Former Danish international becomes the latest victim of a relatively recent trend of assistant managers getting the boot rather the manager. 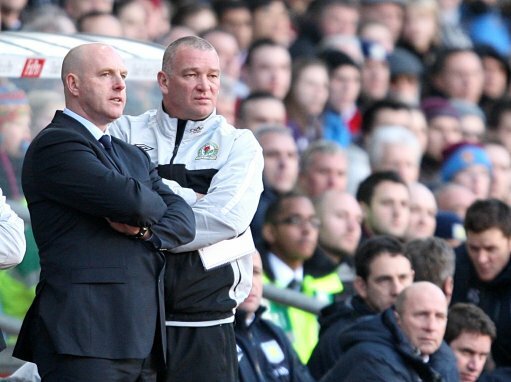 The former Arsenal midfielder thus follows Rovers’ chief scout, chairman, finance director and secretary out the Ewood Park door and one wonders if Steve Kean will be next. Interestingly, Jensen’s former Danish team-mate, Michael Laudrup, with whom he has already worked as an assistant at Brondby and Getafe, resigned as manager of Real Mallorca this week. Possibly, the two will link up again in the near future. Anyway, with Jensen out of English football again, at least for the time being, Pies thought it only right to feature the tough-tackling anchor-man’s famous (and only) goal for Arsenal in December 1994, a strike which gave birth to a brief t-shirt industry in north London. Nice, didn’t know the story about the single goal. Now I too saw John Jensen score!